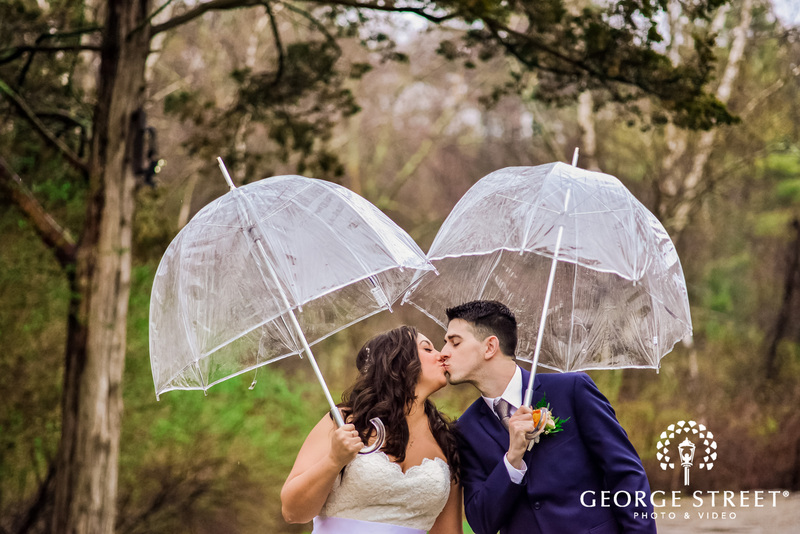 Sometimes an unforeseen rainy spell can throw newlyweds for a loop during a spring wedding. 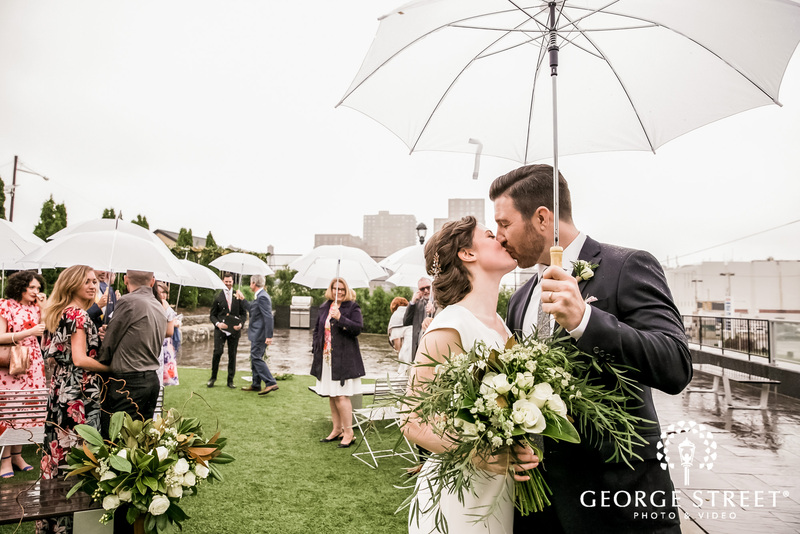 However, don’t let a little rain put a damper on your festivities, grab an umbrella and turn it into a prop! 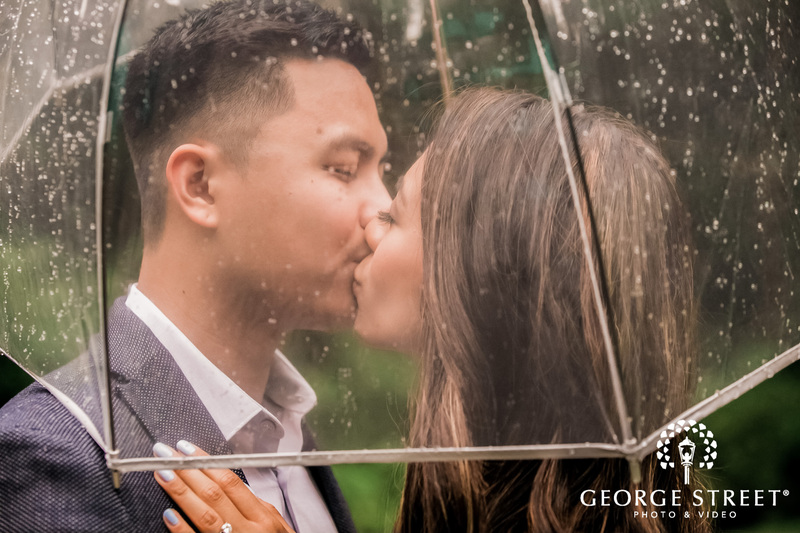 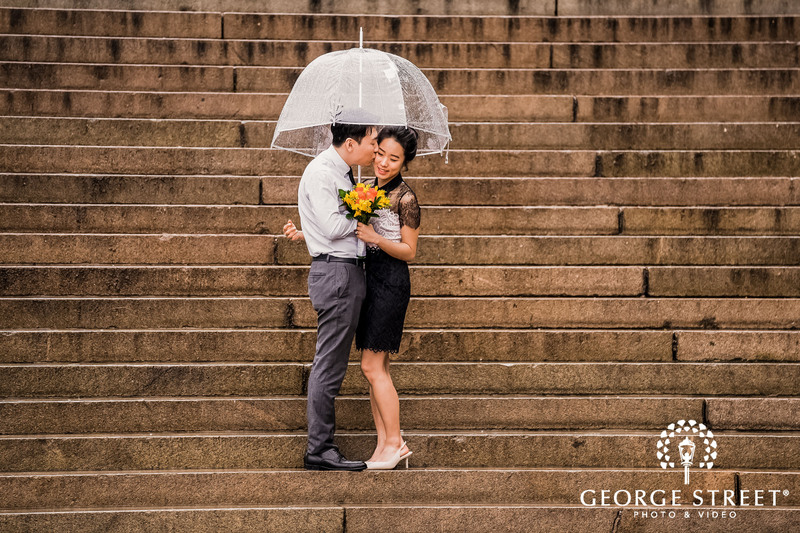 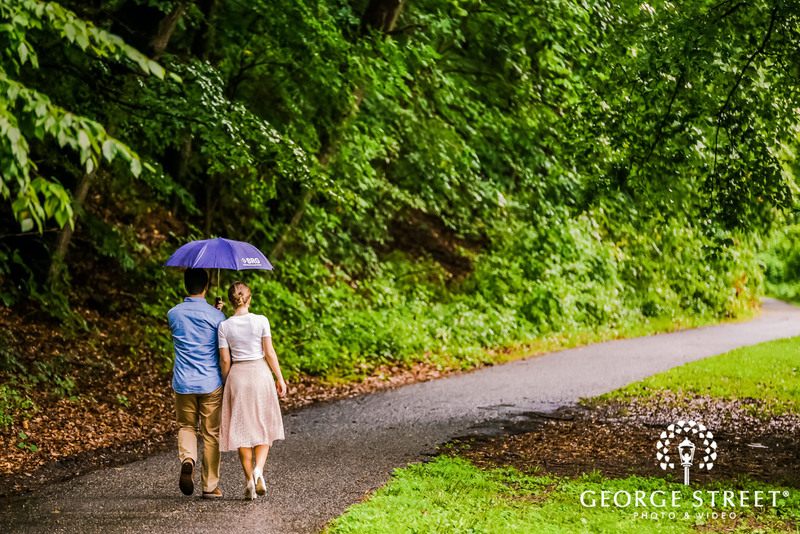 Don’t reschedule an engagement or wedding photography session, just grab an umbrella and let your wedding photographer work out the angles. 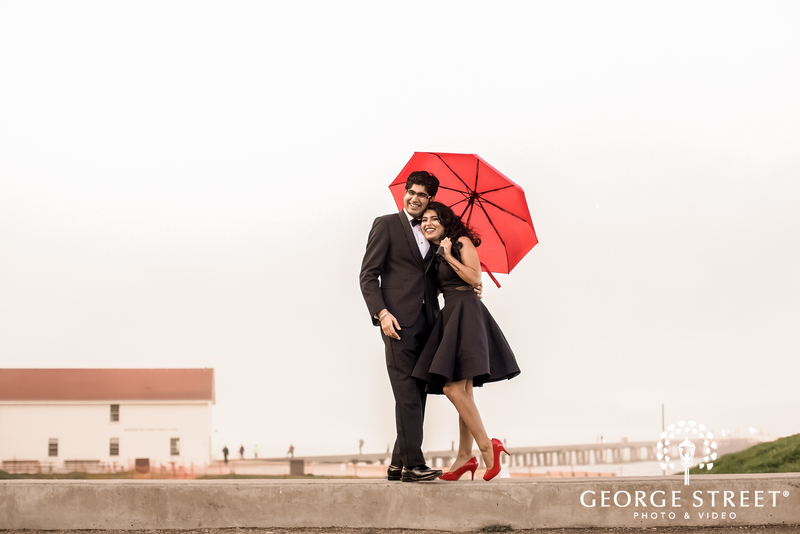 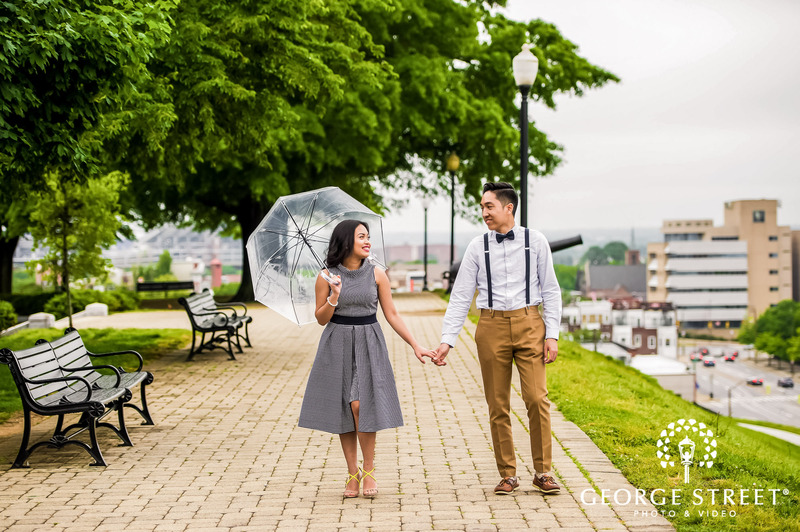 Umbrellas are the best prop to capture you and your sweetheart in a cozy space and are the ultimate engagement session inspiration. 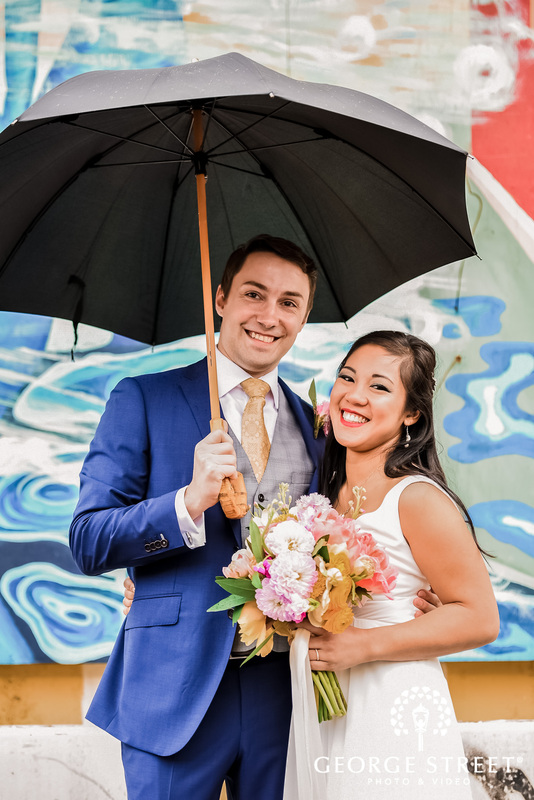 Add a colorful umbrella to your wedding party and see how it gives a pop in your photos. 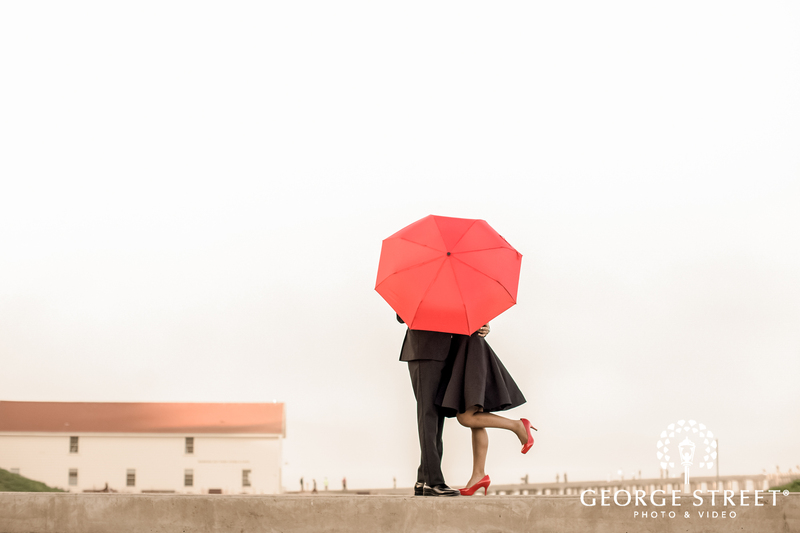 Try electric colors like red, yellow or pink on a grey day. 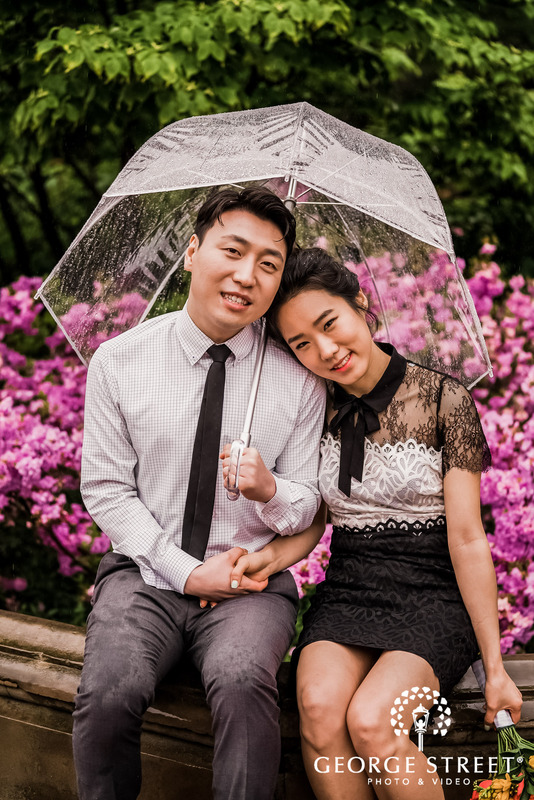 It’ll brighten up the landscape and function as a fresh and cute prop as you pose for photos with your favorites! 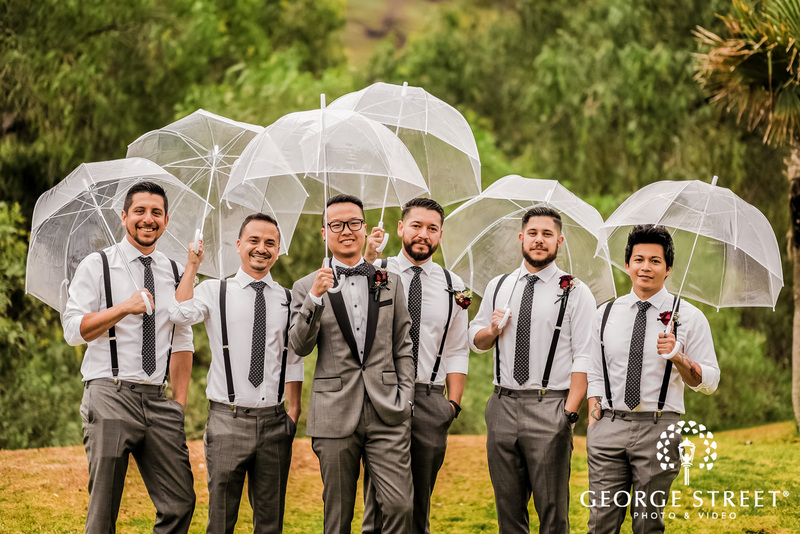 Let your wedding details shine and opt for a clear and translucent umbrella. 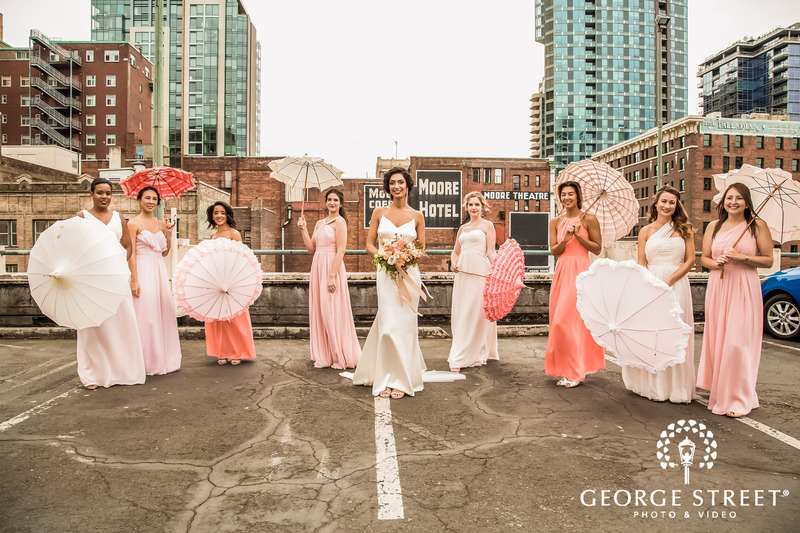 It’ll keep things clean and minimalistic and give you that natural bridal glow on your big day! 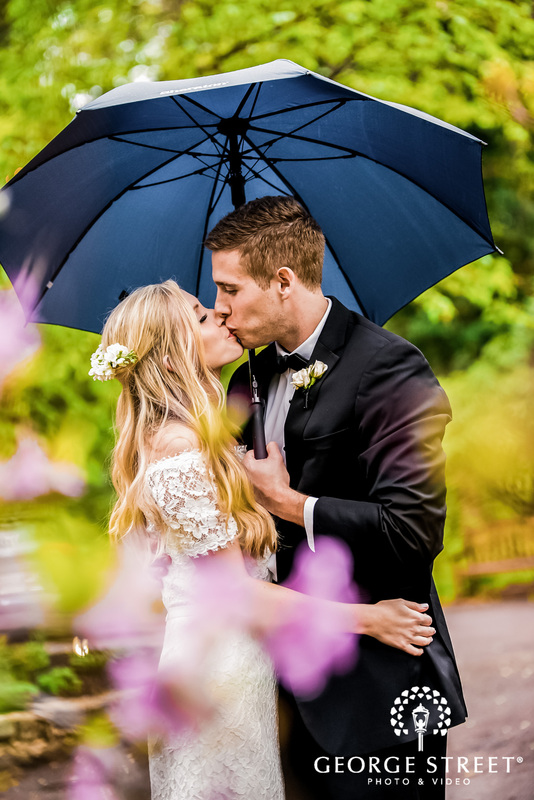 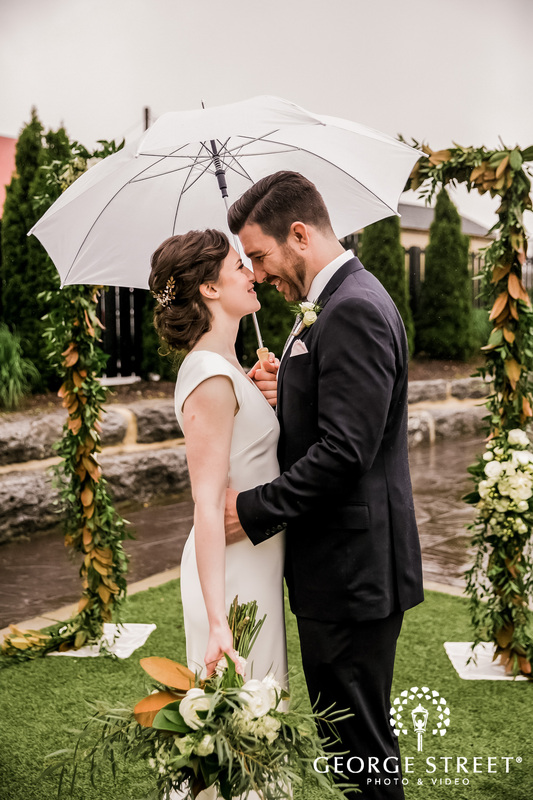 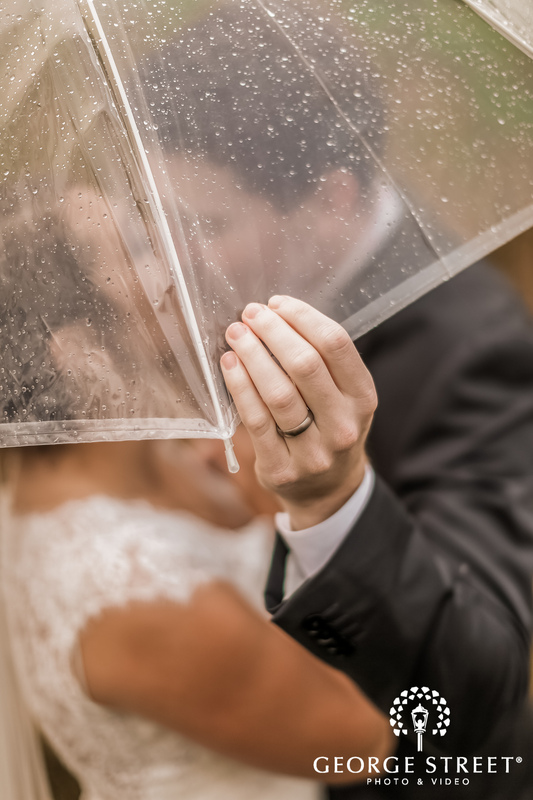 Adding an umbrella can make your rainy wedding a lucky wedding day ritual. 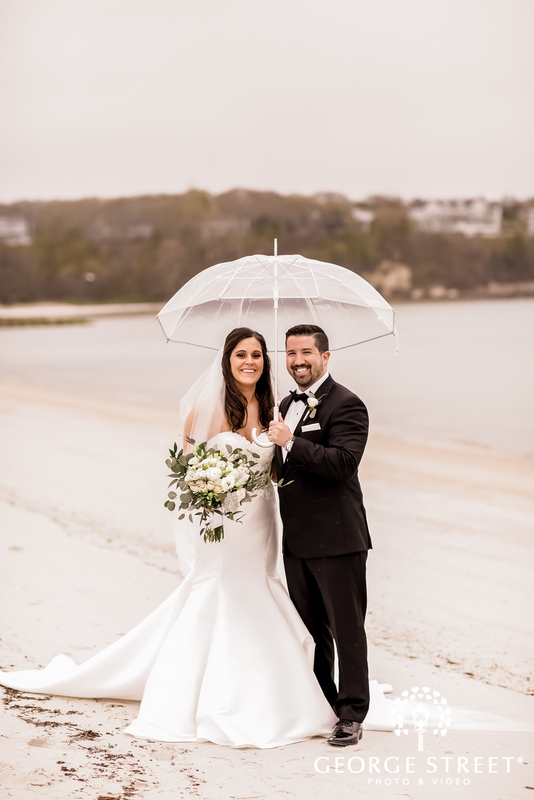 A clean and simple umbrella with a white lace pattern or polka dotted can go a long way with your wedding look. 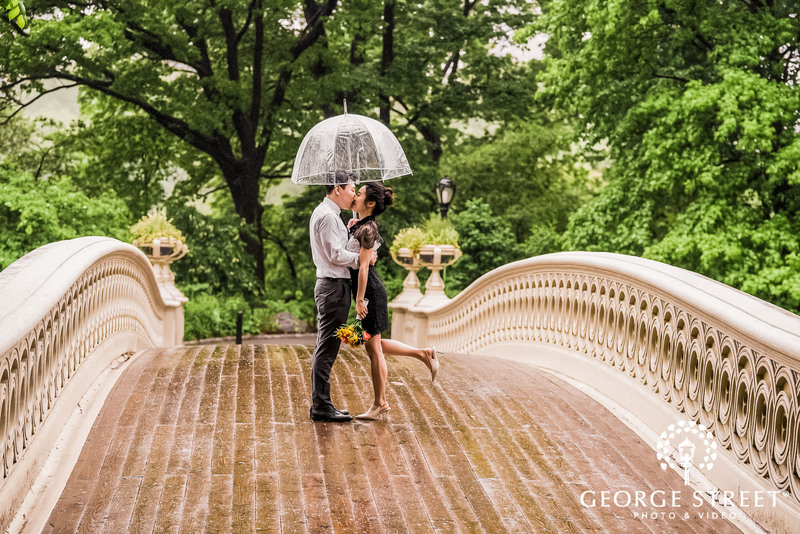 It can add that fun and playfulness to an otherwise dreary day. 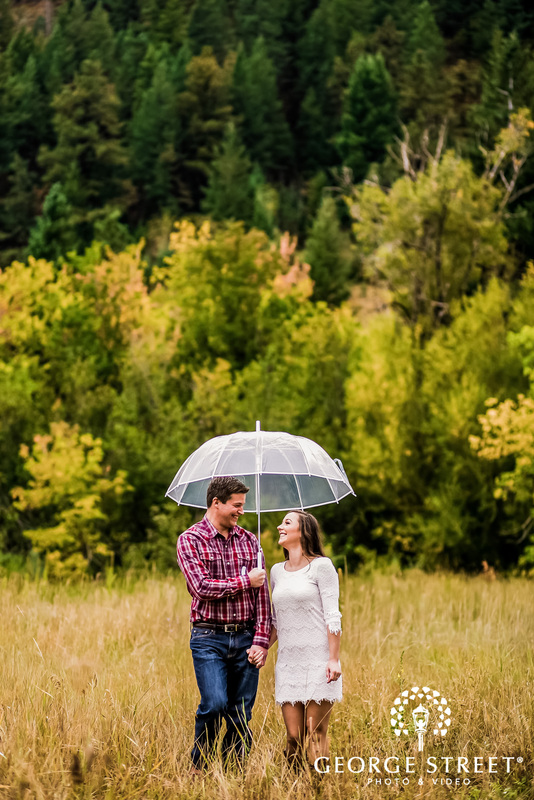 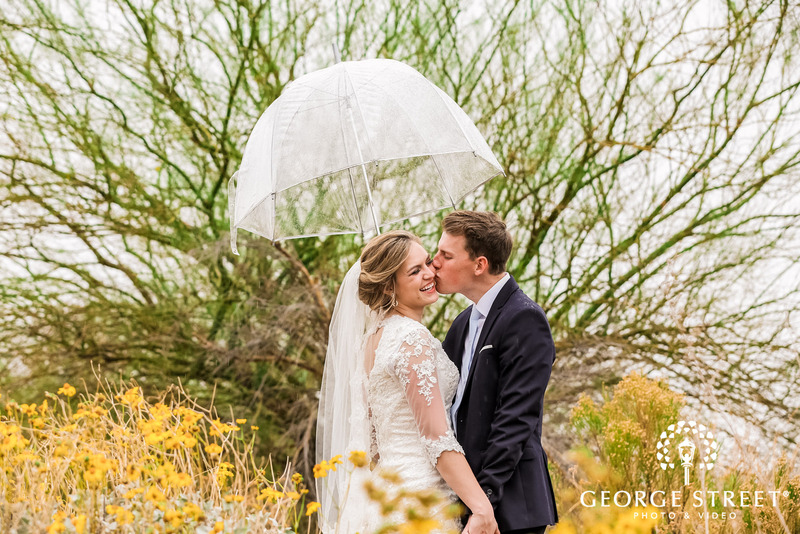 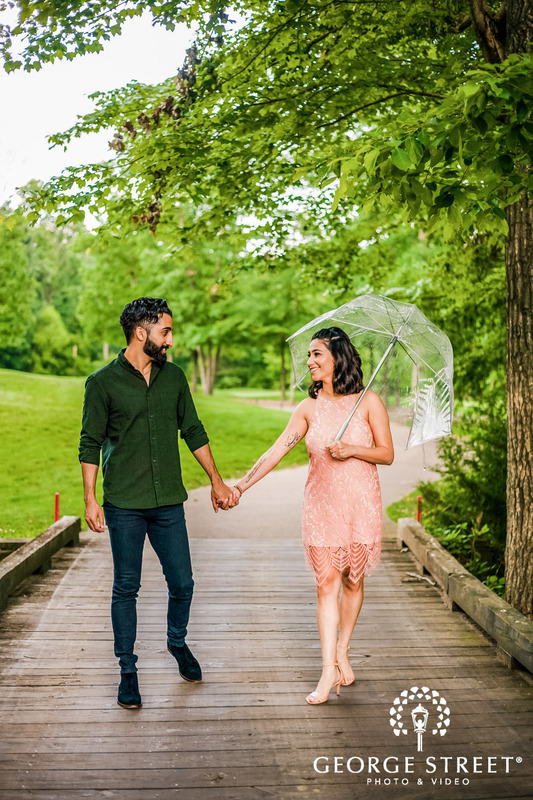 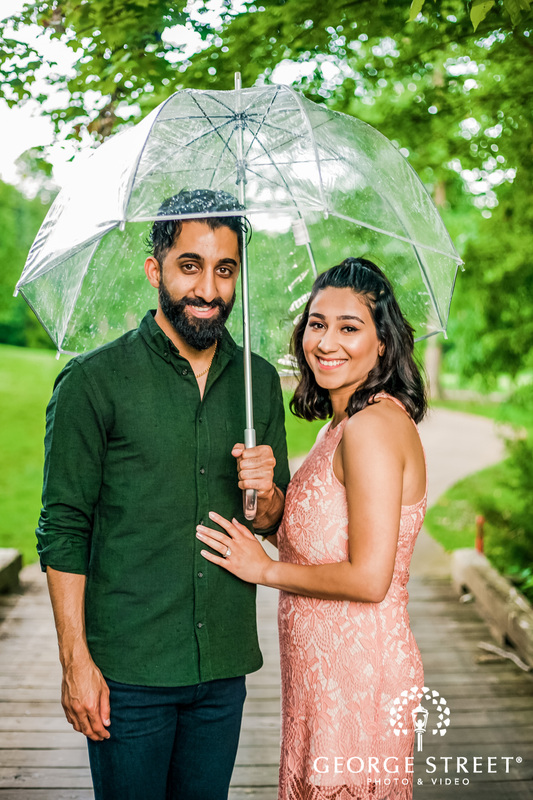 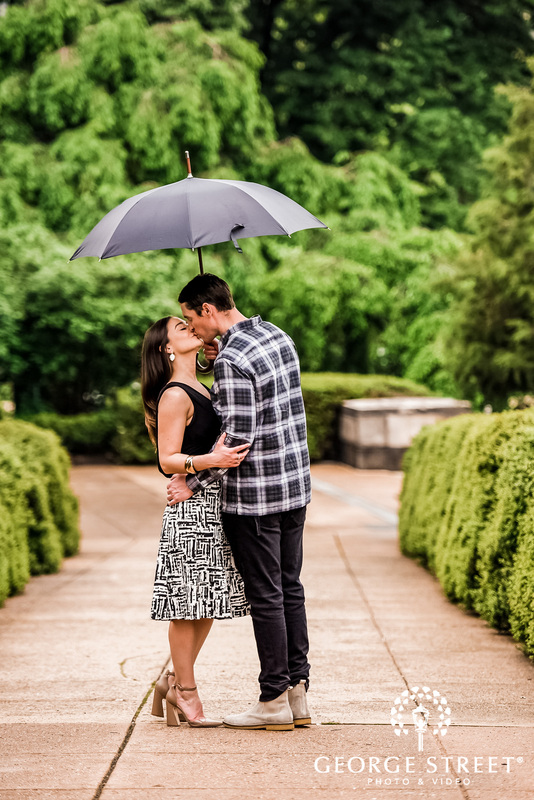 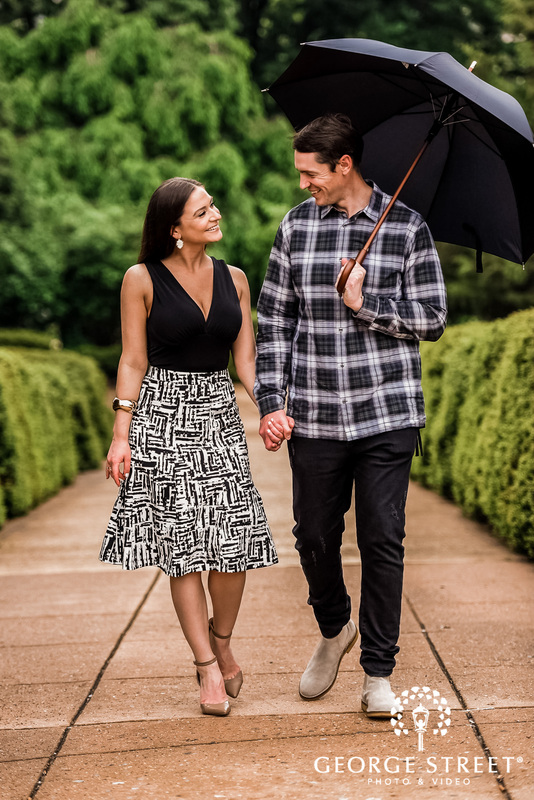 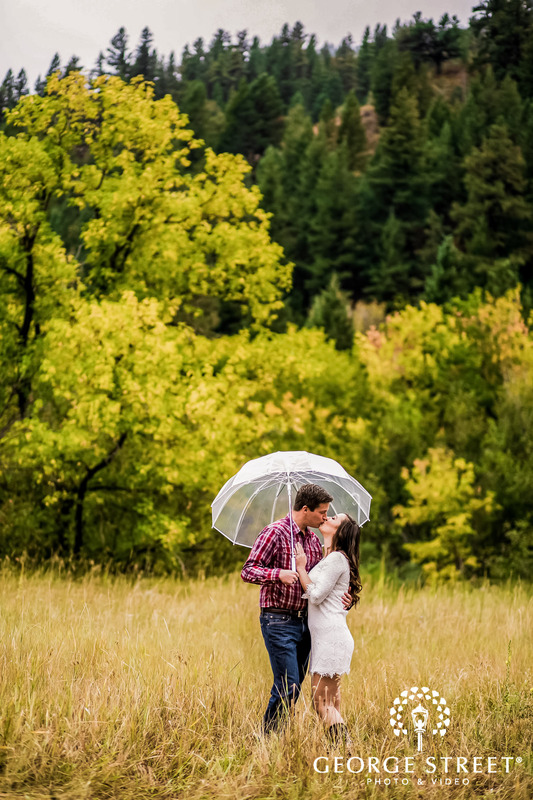 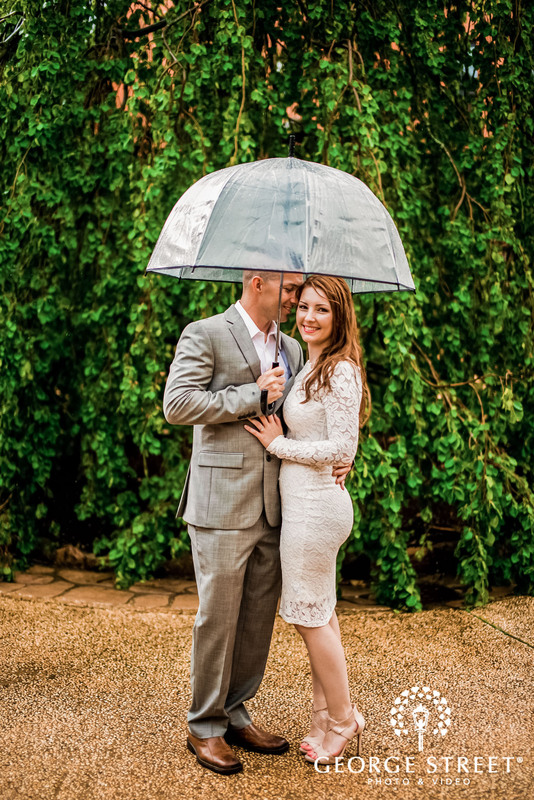 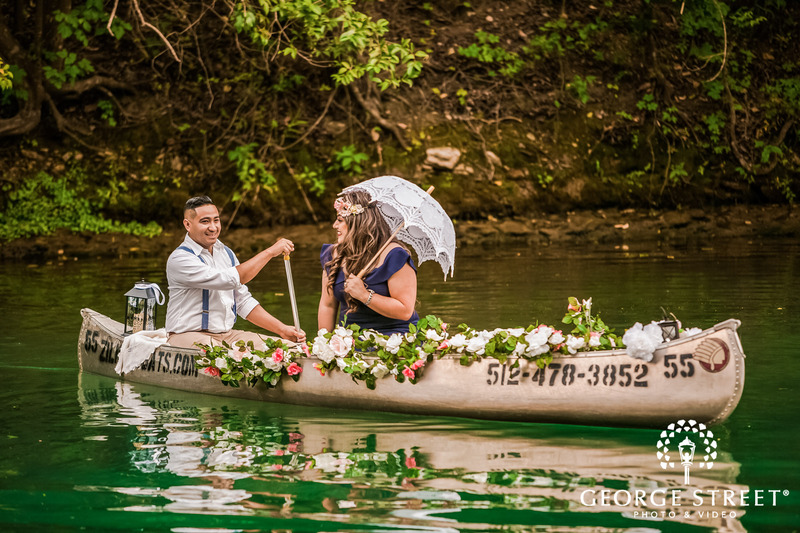 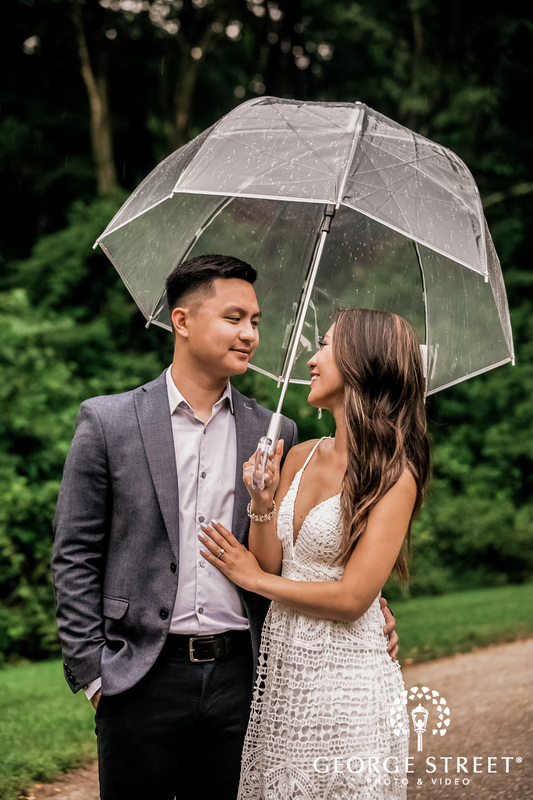 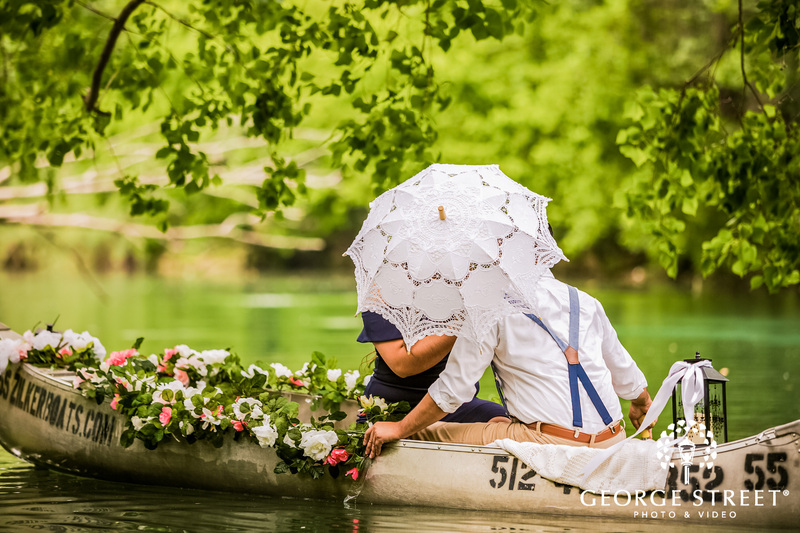 So whether you’re taking a romantic stroll in a park or on a sweet boat ride with your partner, a patterned umbrella can be both a savior and a trusty friend during your photography session. 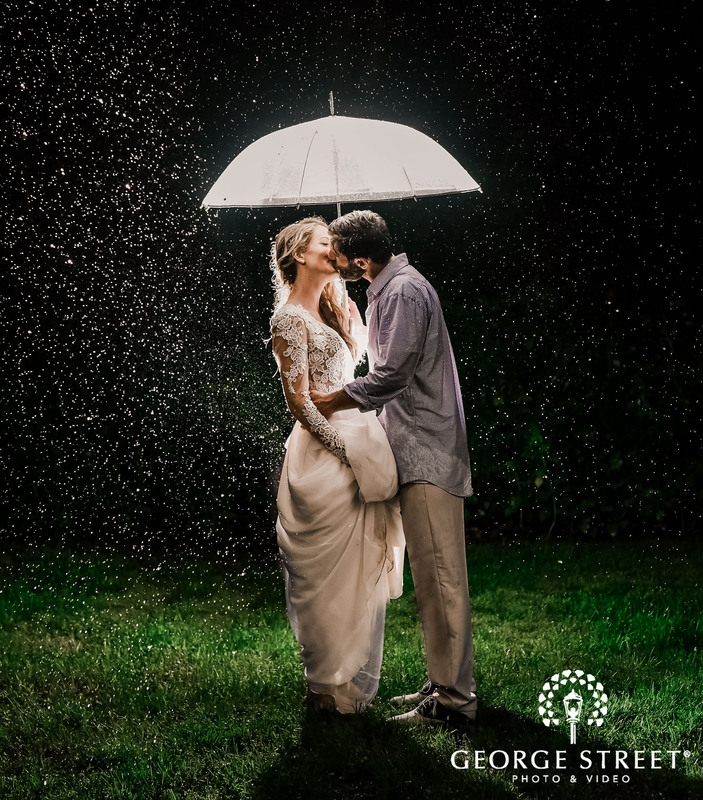 There’s nothing more magic than a couple captured under dark lighting. 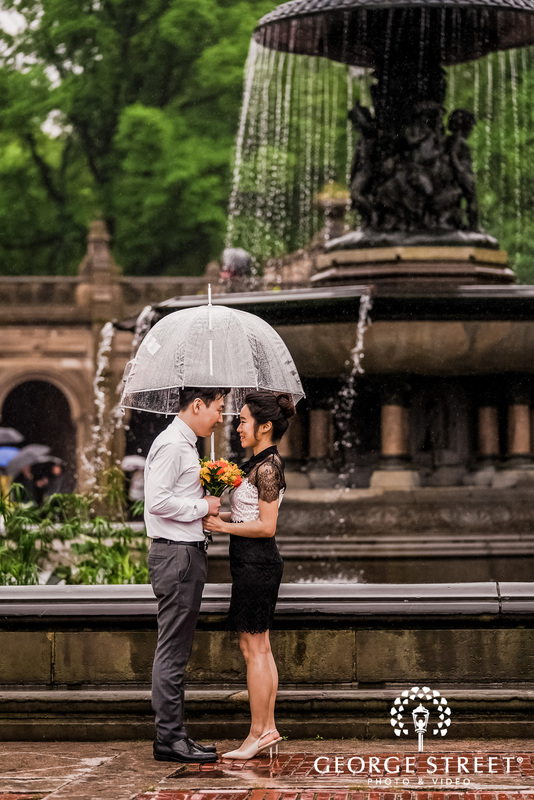 Add a sprinkle of rain and an umbrella and the results are mesmerizing! 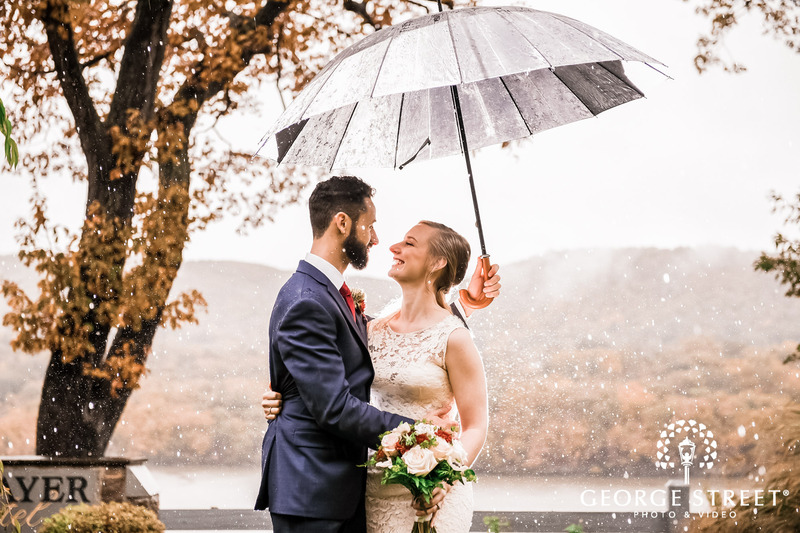 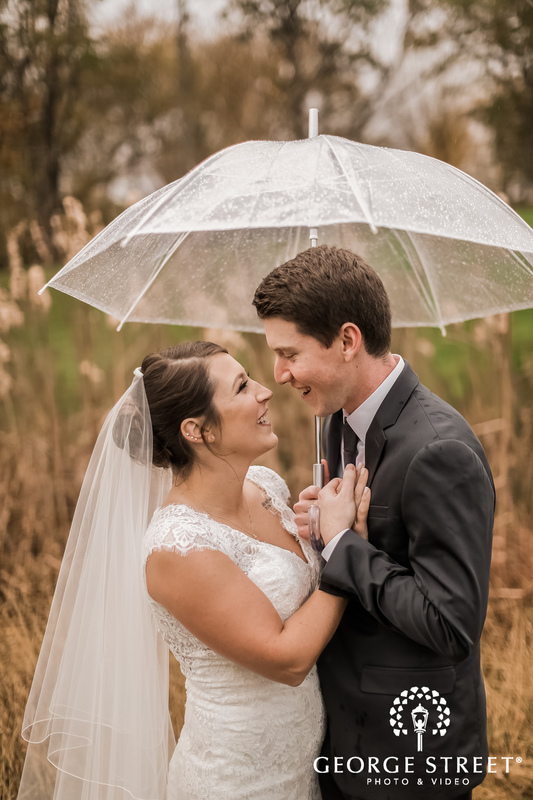 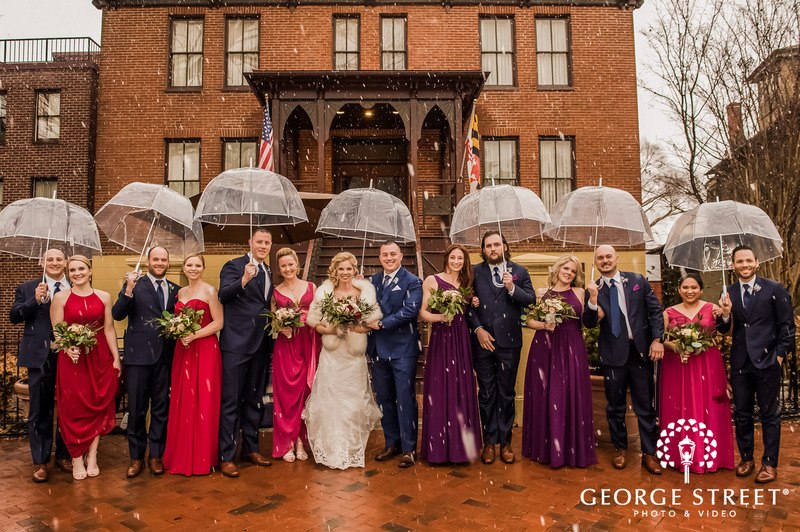 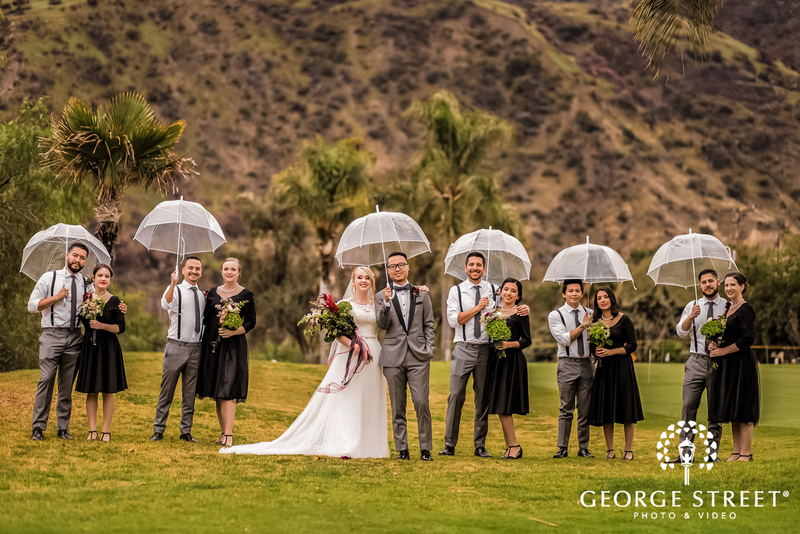 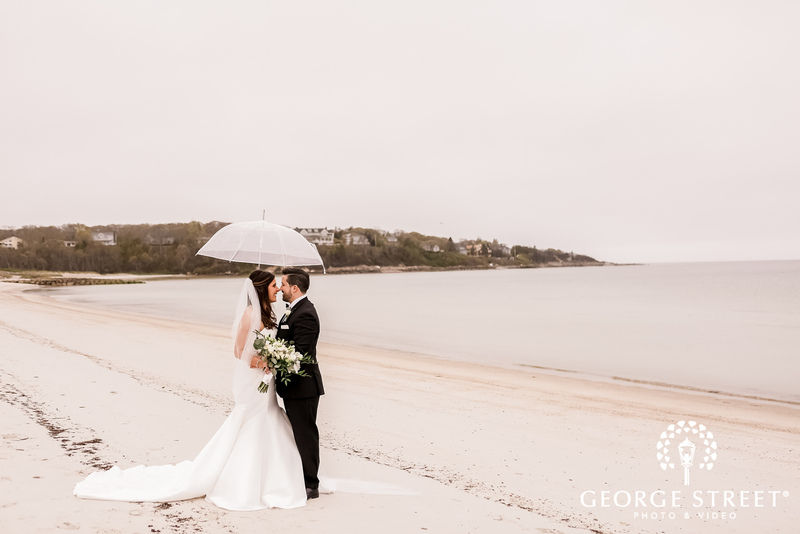 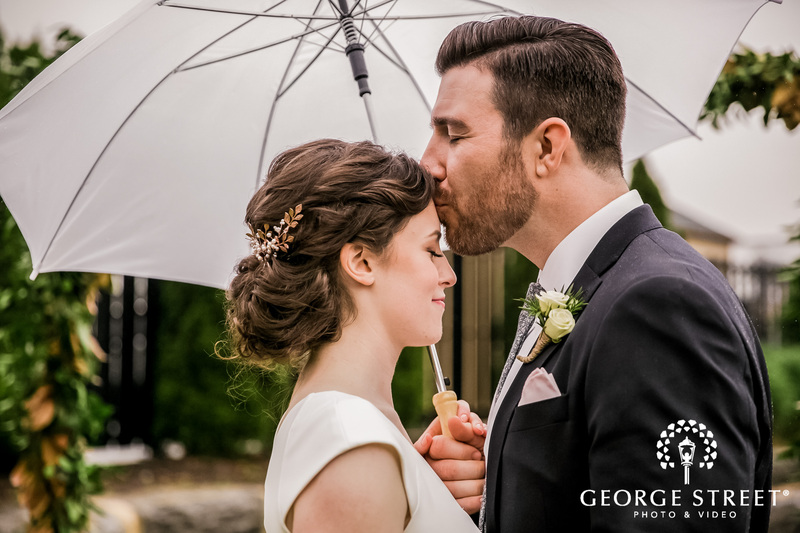 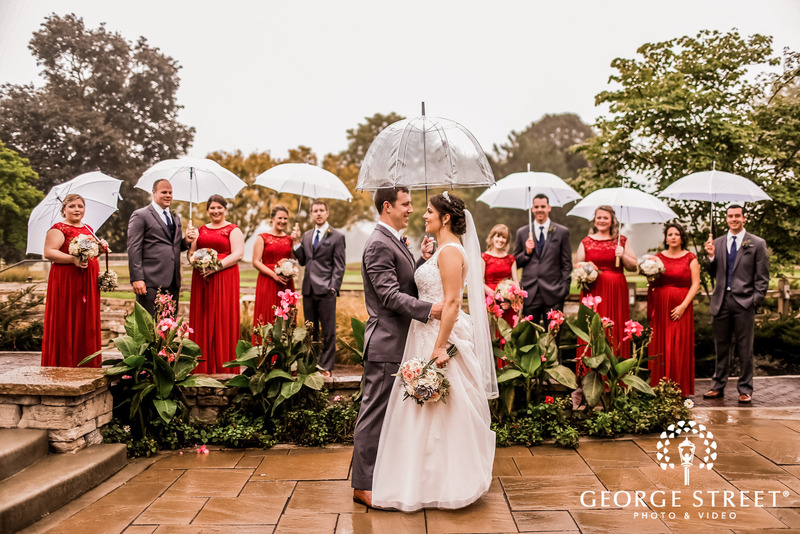 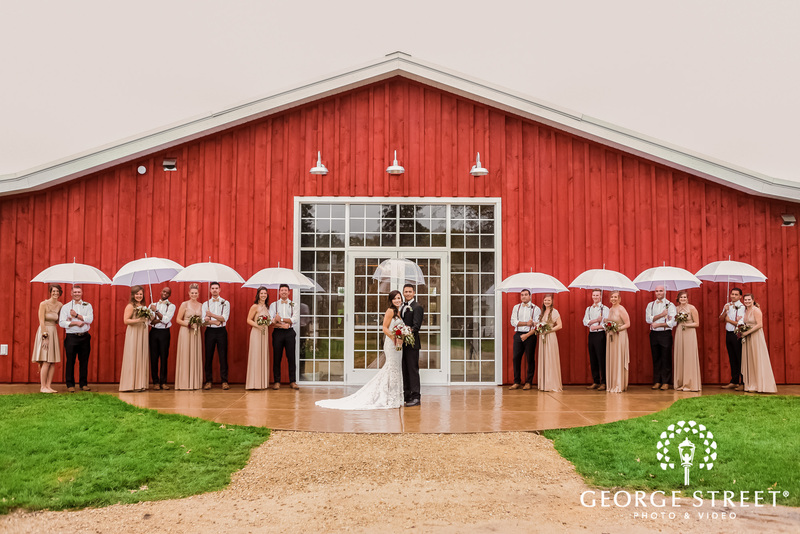 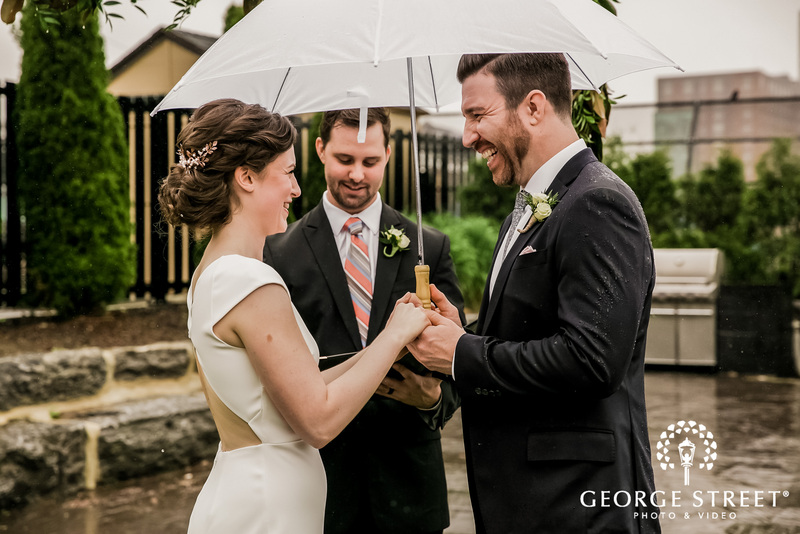 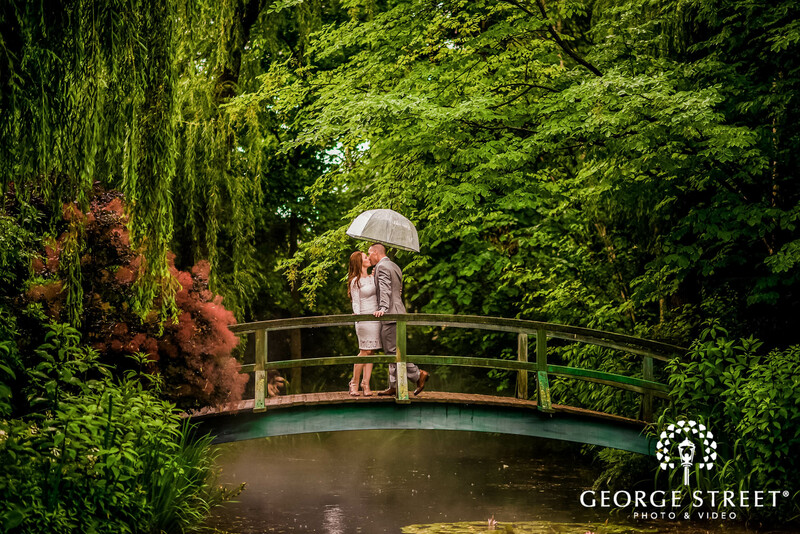 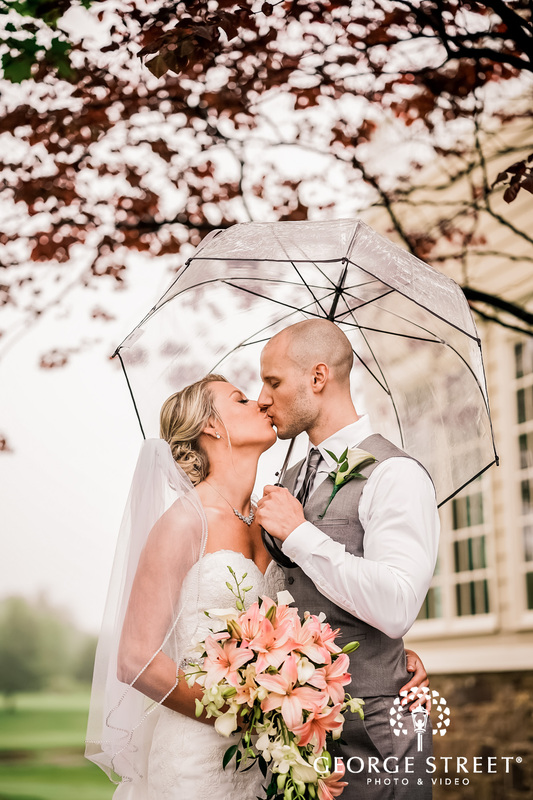 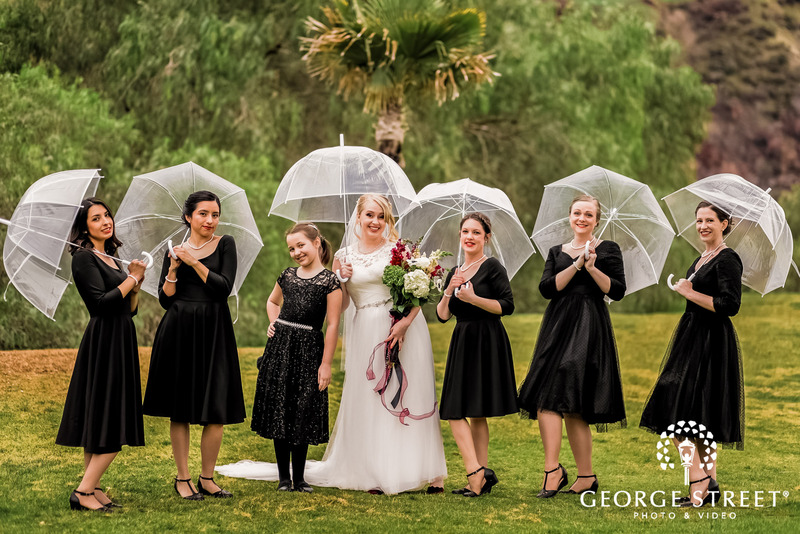 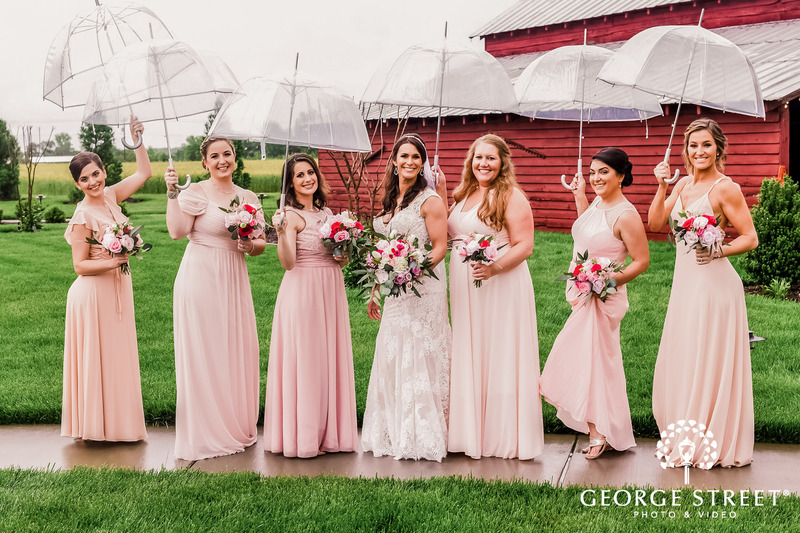 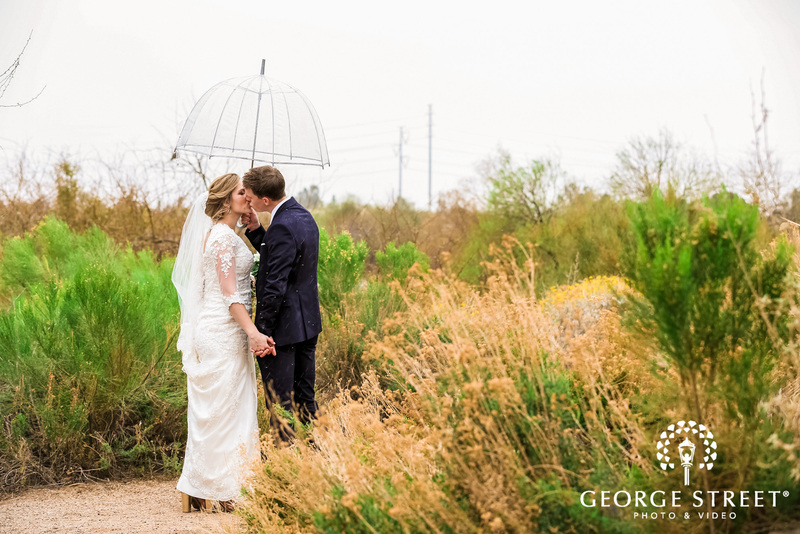 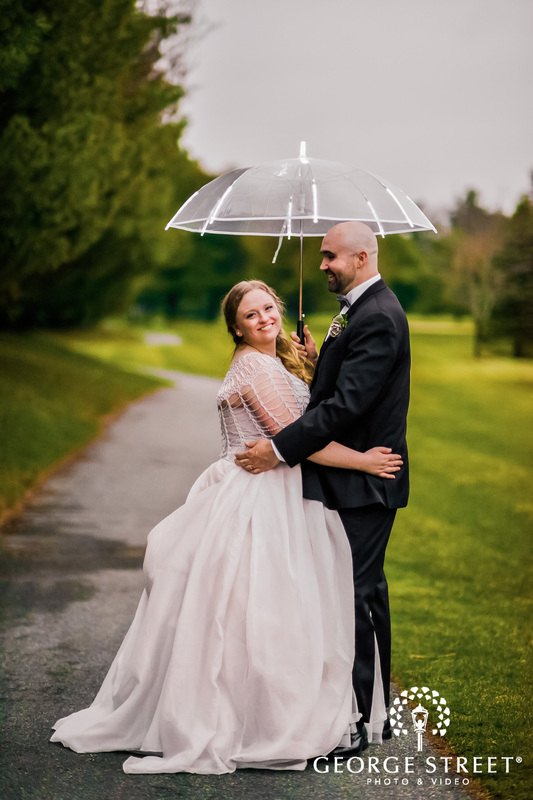 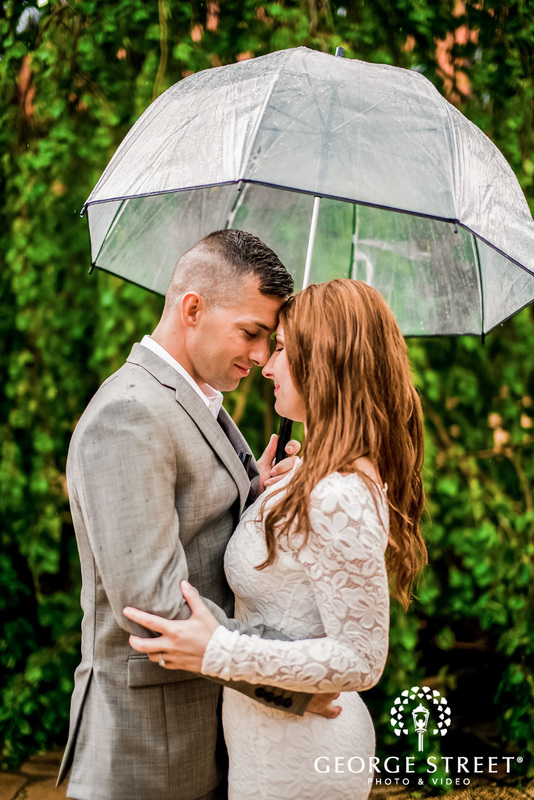 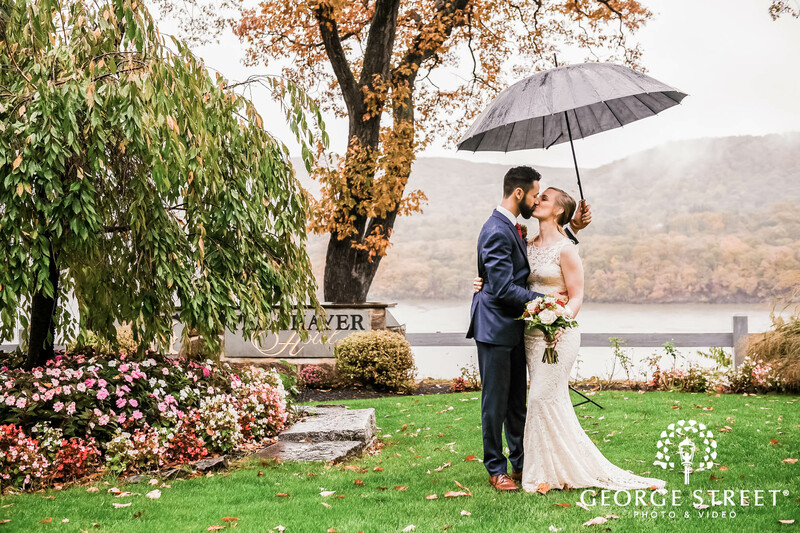 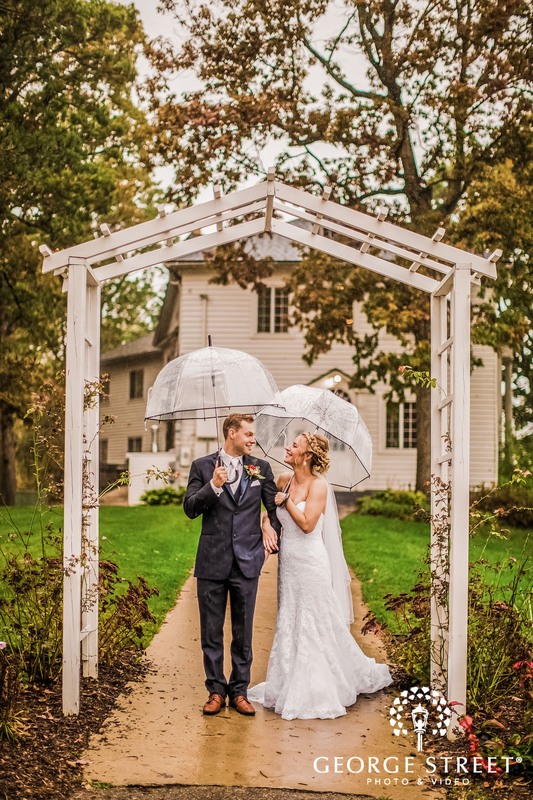 Rainy weddings and umbrellas can create an effect that’ll look like it was straight from a Hollywood movie. 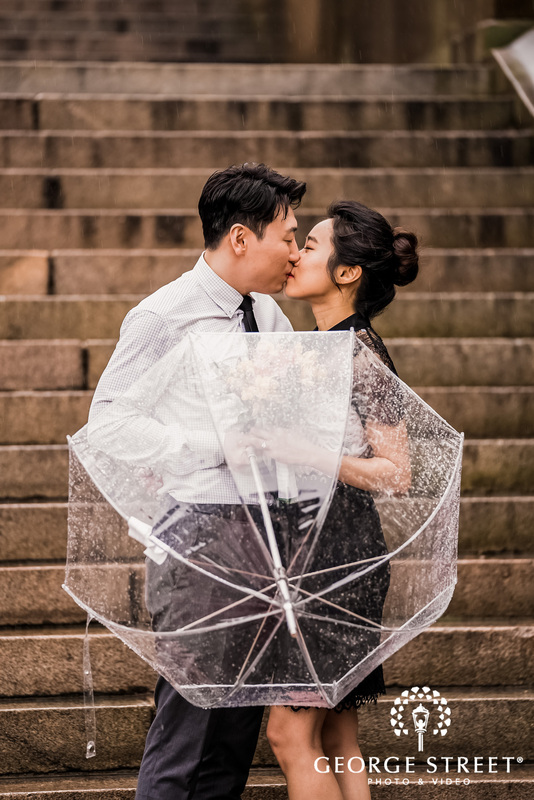 Cherish the special day by having a wedding photography session featured under an umbrella in the moonlight or under a street lamp to give you that ethereal glow!